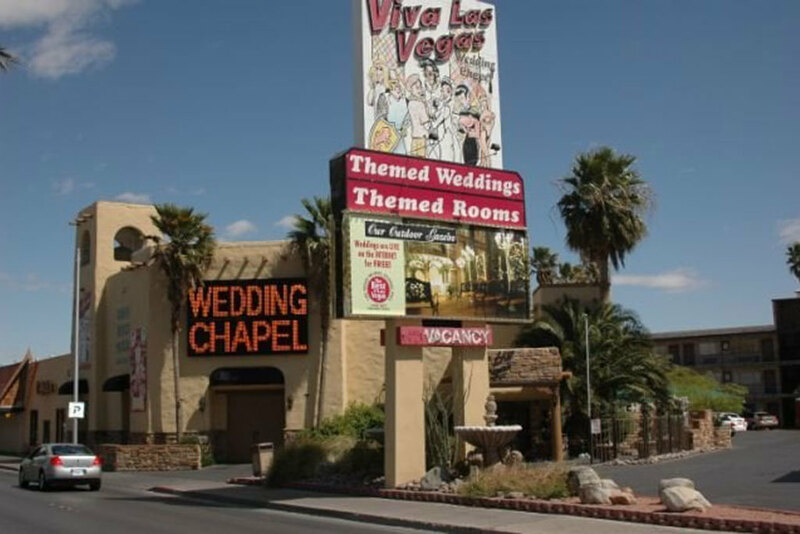 Tying the knot in Sin City? 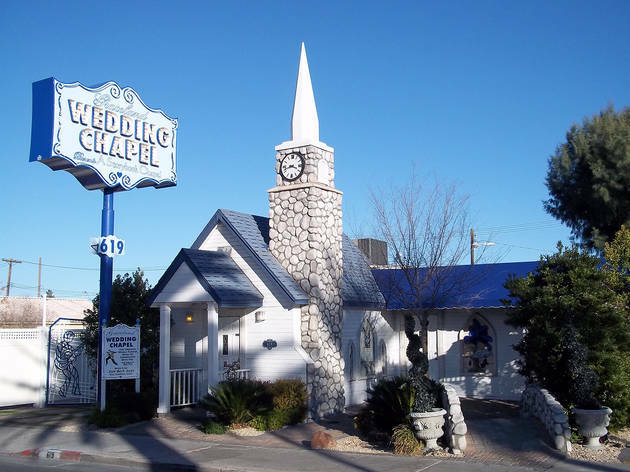 Make it an affair to remember when booking the best Las Vegas wedding chapels and venues. 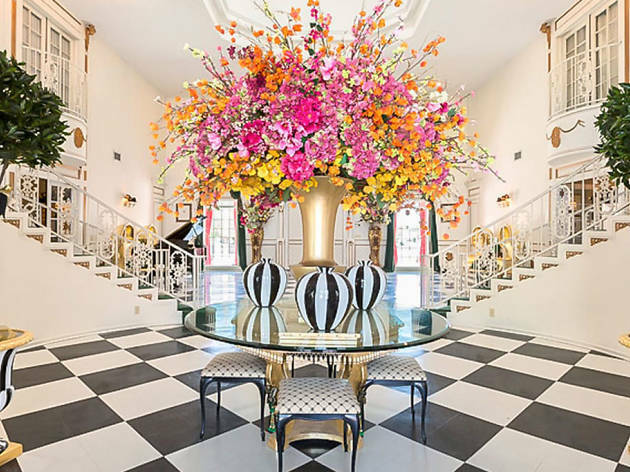 Whether you are having a shotgun wedding or are planning the most opulent nuptials imaginable, Sin City is the perfect place to say “I do.” You can tie the knot in a penthouse, in a Cadillac while driving around town, with Elvis presiding over your ceremony and even in the middle of nature—just consult our list of the best Las Vegas wedding chapels and venues to find the perfect location. Make sure to book a suite at the best Las Vegas hotels for your first night as a wedded couple and spend the next day pampering yourselves at the best spas in Las Vegas (after devouring the best brunch in Las Vegas, of course). 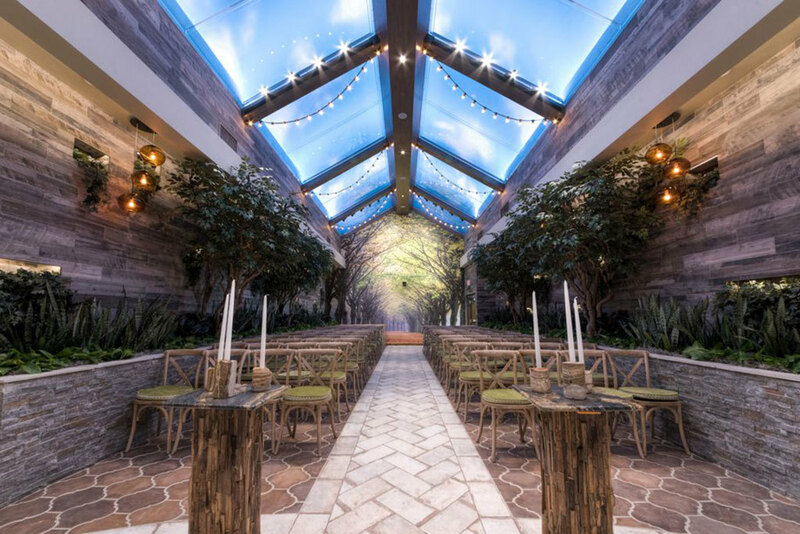 This romantic spot will transport those about to wed to a floral dreamland. 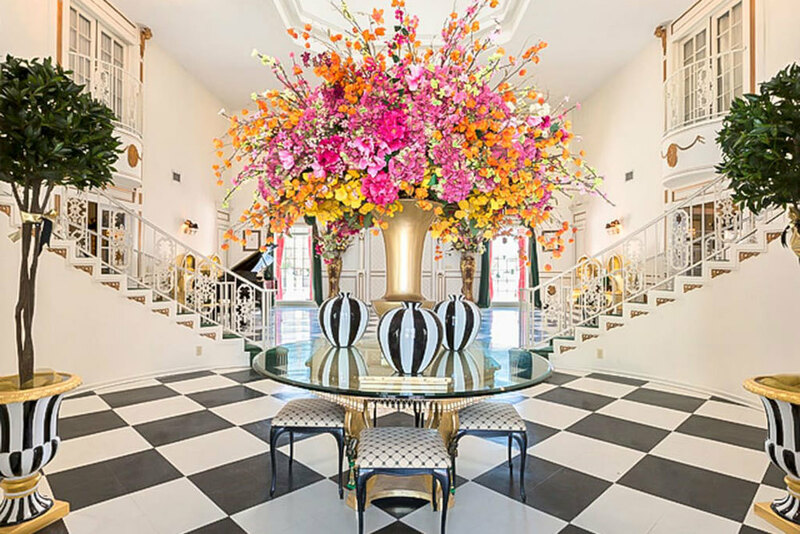 Venues include the legendary Victorian Chapel (holds 30 people), the blinged out Magnolia Chapel, which has room for 20, and the fantasy that is the Glass Gardens (holds 88 people). 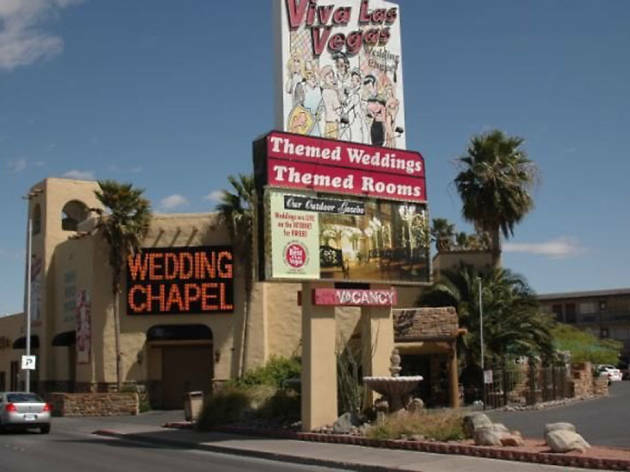 The staff also offers to organize your wedding at unique locations, like the High Roller Ferris Wheel and Valley of Fire. 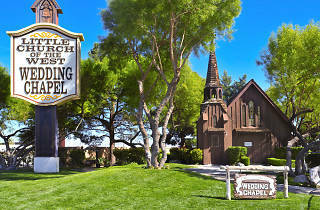 The stunning hotel offers multiple classy wedding options. 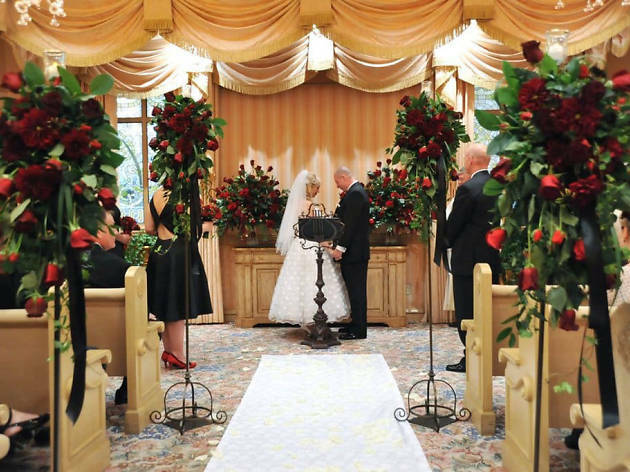 There are two traditional chapels: The movie-ready Terrazza Di Sogno, with the famous Bellagio Fountains in the background, and Hyde Bellagio for those looking for a 21+ wedding with a club feel. Want something a bit more intimate? Opt for the Fountain Courtyard. Oh, and all weddings can be live streamed—all you need to do is ask. 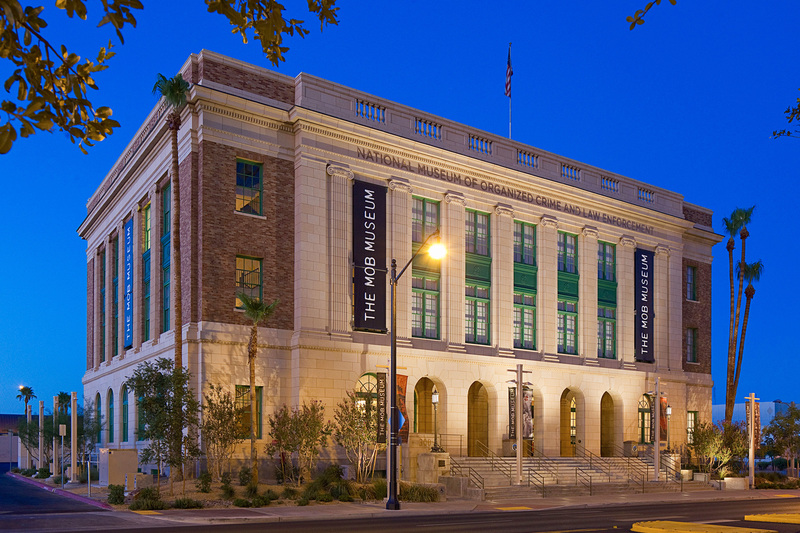 This might be Downtown Las Vegas, but the Mansion has a feel all its own. Who’s to say what decade, what state or even what world you are in when getting married here? You can even spend your first night as a married couple on the premise. Fun fact: The Mansion was featured in the quintessential Vegas mobster movie Casino. 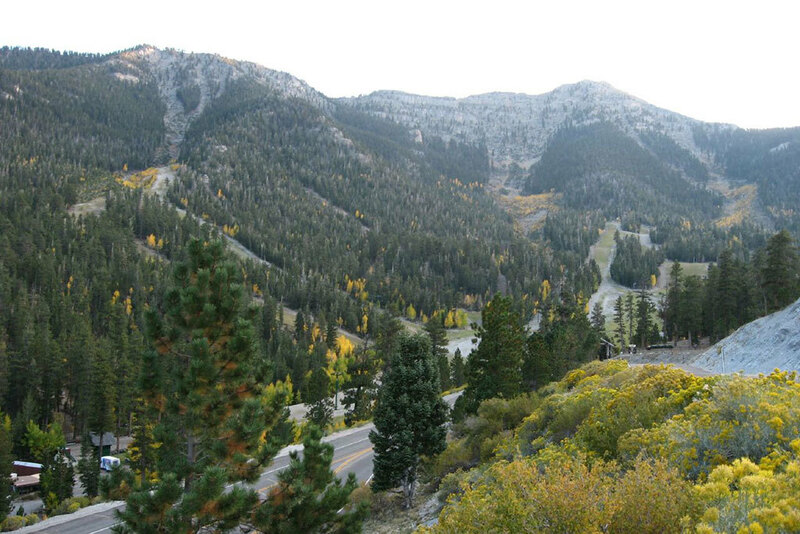 About 25 minutes outside of the city sits spectacular Mount Charleston, a picturesque setting that could just as easily be in Aspen. Weddings here are customized and run by a non-denominational couple (both ministers!). 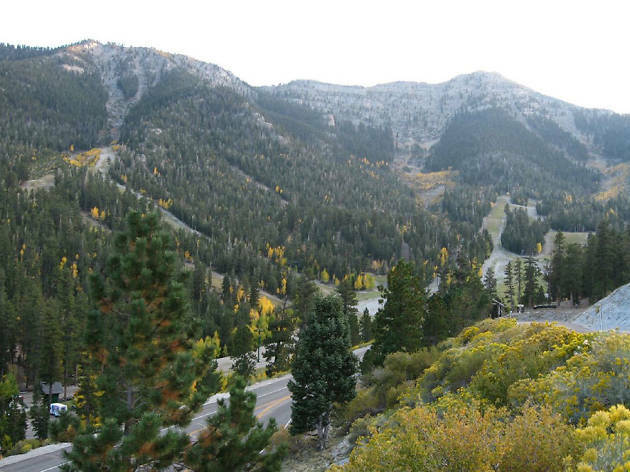 Of all the views in Las Vegas, this beautiful mountain backdrop might just be the best. 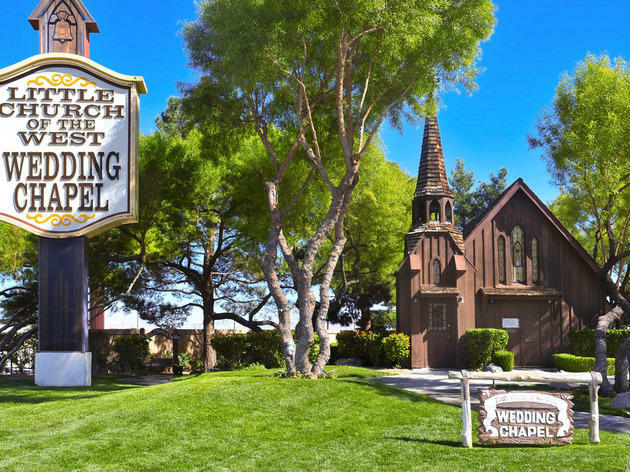 Two different chapels: Bella Vista for 90 guests and the intimate Bella Luna for 20. Two different reception areas are also available. 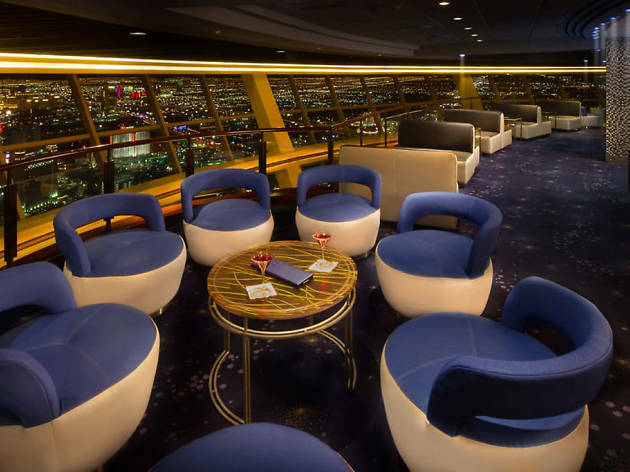 Both are 1,149 feet in the air, on top of the Stratosphere Tower. Yes, you read that right. 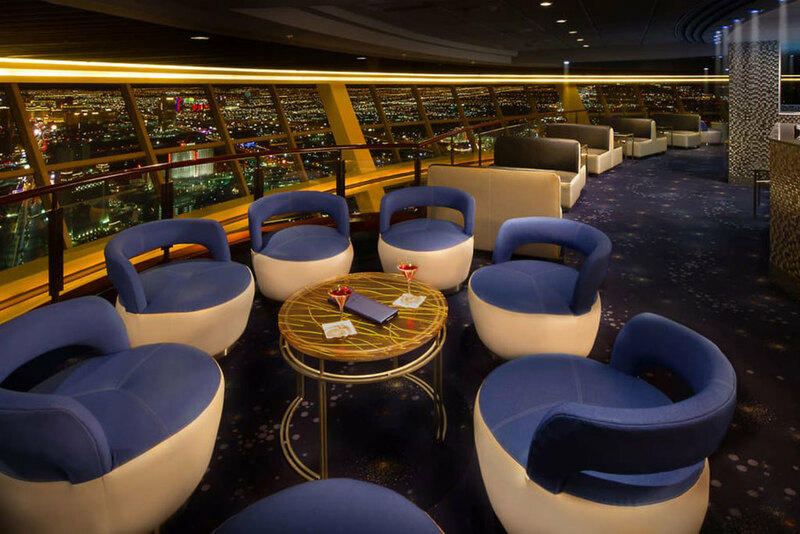 If you choose Level 112 as your wedding venue, your guests will have access to both the indoor and outdoor observation decks and will see and hear the thrill rides as they whirl around The Tower. An authentic Vegas wedding clearly requires the presence of Elvis. 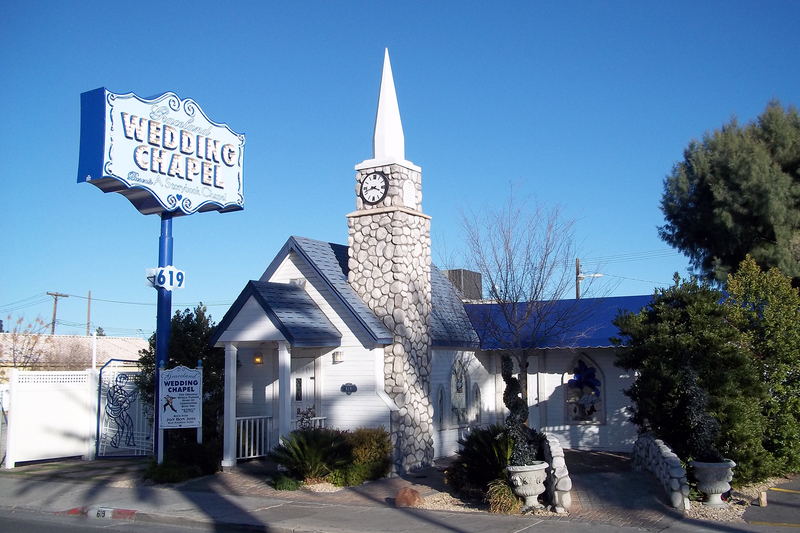 The tradition started right here, at Graceland Wedding Chapel. 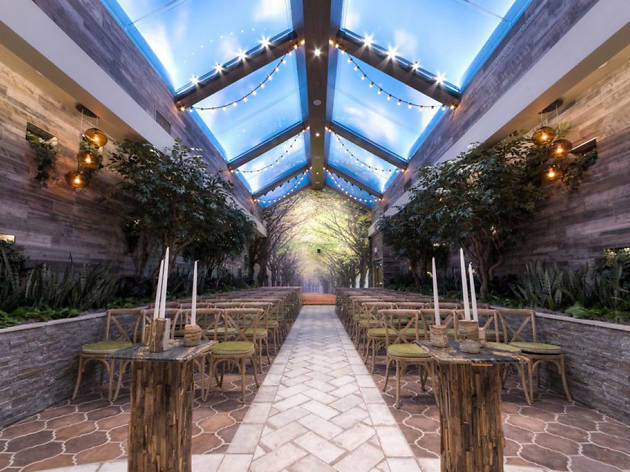 Unsurprisingly, this is a favorite wedding spot for musicians—Jon Bon Jovi, Aaron Neville and Billy Ray Cyrus are only few of those who tied the knot here. Photograph: Courtesy Yelp/ Michael L.
For the adventure seekers who are looking for something very different, the sky is for you. Book a helicopter wedding to say “I do” while flying over the Strip, to the Valley of Fire or the Grand Canyon—all the while admiring the spectacular scenery around you. Yes, you an get married in here. 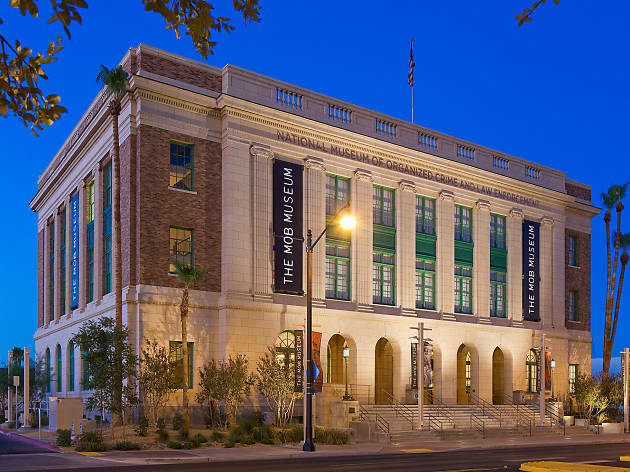 Holding up to 150 guests, a wedding at the Mob Museum comes complete with mug shots, a DJ, a souvenir wedding certificate signed by former Las Vegas Mayor Oscar Goodman and much more. 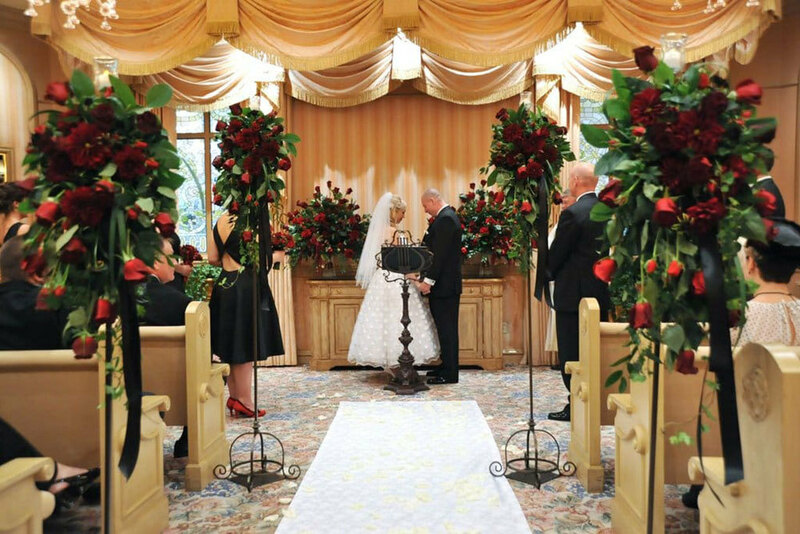 When booking the venue, opt for a traditional wedding setting or something much different. The staff offers a wide array of themes: from Dracula’s tomb to disco, beach party, Camelot and intergalactic. Your nuptials will clearly be an affair to remember. 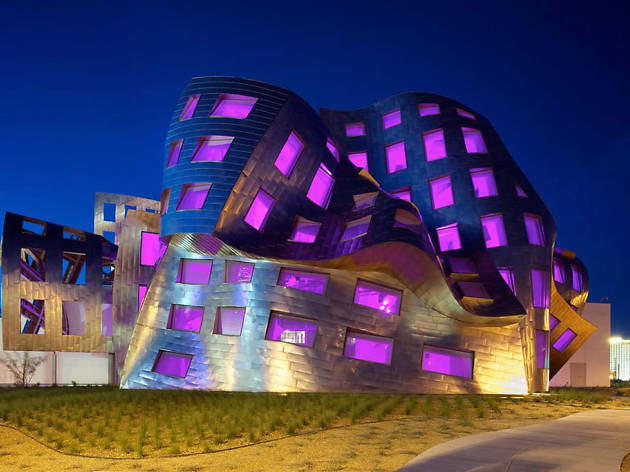 No building in Las Vegas is as brilliantly designed as this one. Known as “the most complex Frank Gehry design in the world,” this municipal masterpiece is a winding, twisted jaw-dropper from one of the premiere architects in the world. Guests can also donate to brain health research, making the wedding a sweeter day for everyone involved.